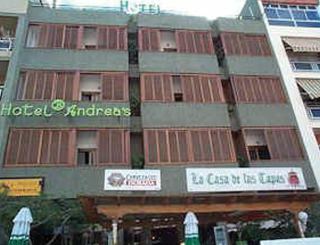 El Andrea Hotels ** is a city hotel was renovated in 2000, has 5 floors with a total of 50 rooms and 3 apartments. Are welcomed in the inviting lobby, where a reception area open 24 hours a day to assist you. You will find here a lift and a currency exchange service. In Culinary, the hotel has an exclusive restaurant with highchairs for children. To supplement the benefits offered medical services. 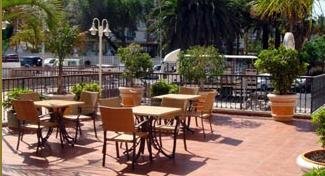 This attractive hotel is situated in the heart of Los Cristianos, just 100 m from the beach of stones and gravel. 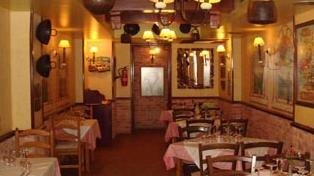 Nearby, about 50 m, a shopping center and numerous restaurants, bars and pubs. If you need to use public transport stop is 100 m. The nearest airport is located a quarter of an hour by car. The rooms, decorated and tastefully furnished, have a bathroom. 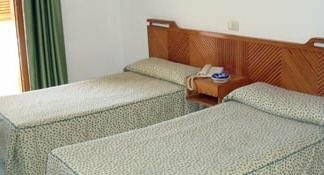 They are equipped with direct dial telephone, minibar and a hire safe. All rooms have a balcony or terrace. * Some services will be paid directly at the hotel.